Sometimes the best restaurants are the ones that you don’t know about. 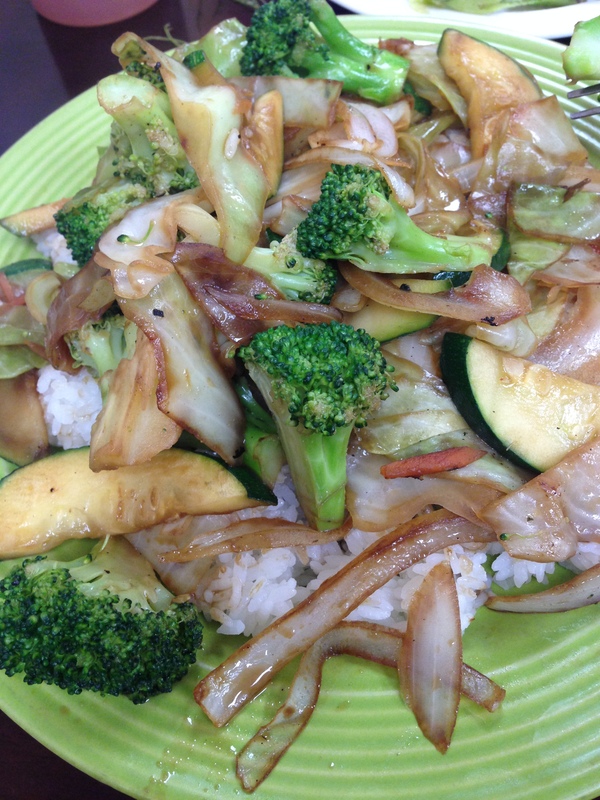 BoBoKo Indonesian Cafe is located in Harrisonburg, VA and is a great place to stop to eat. I was traveling from Northern Virginia to Roanoke for the Blue Ridge Marathon 10k, and I was getting hungry. I pulled out my trusty Happy Cow app to see what was near me or coming up soon. 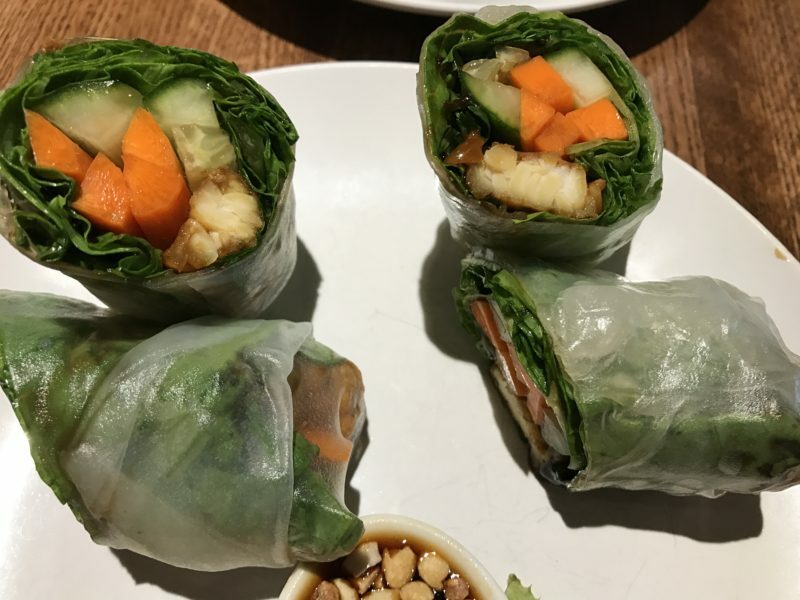 It suggested a few places, but BoBoKo really stood out because 1) I have never eaten Indonesian food, and 2) they had both gluten-free and vegan options designated on their menu! BoBoKo Indonesian Cafe serves traditional Indonesian food using fresh South East Asian spices and ingredients, including ginger, galangal, lemongrass, coconut milk, nutmeg, lime leaves and chili pepper. These spices create unique, warm, rich flavors. The menu includes some Indonesian fusion options, blending Indonesian and Western ingredients. The restaurant is on the smaller side, with only a few tables. There was one other couple eating when we arrived, but during the time we were there, many more people came to dine-in and and grab take-out. For an appetizer, we ordered both the Tofo and Tempeh Teriyaki Summer Rolls. 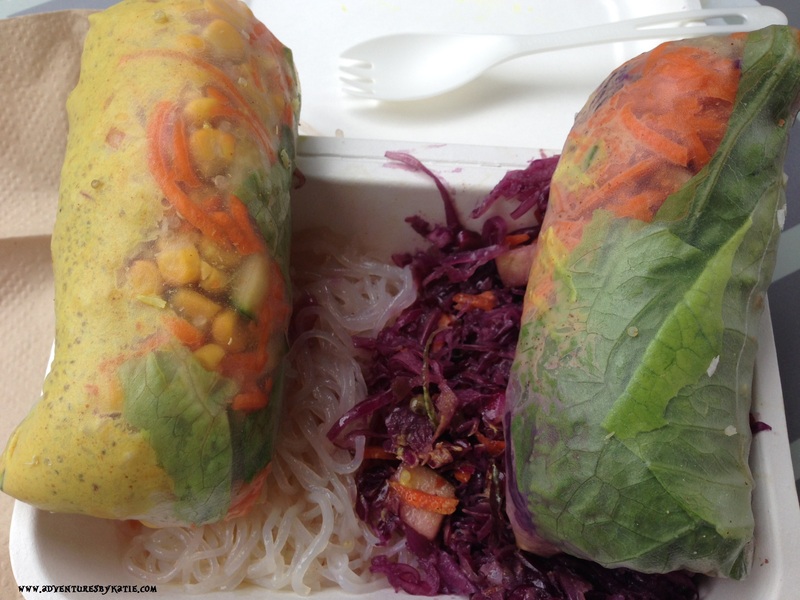 I really enjoy summer rolls, and these did not disappoint. I could not, however, distinguish a difference in taste between the tofo and tempeh versions. 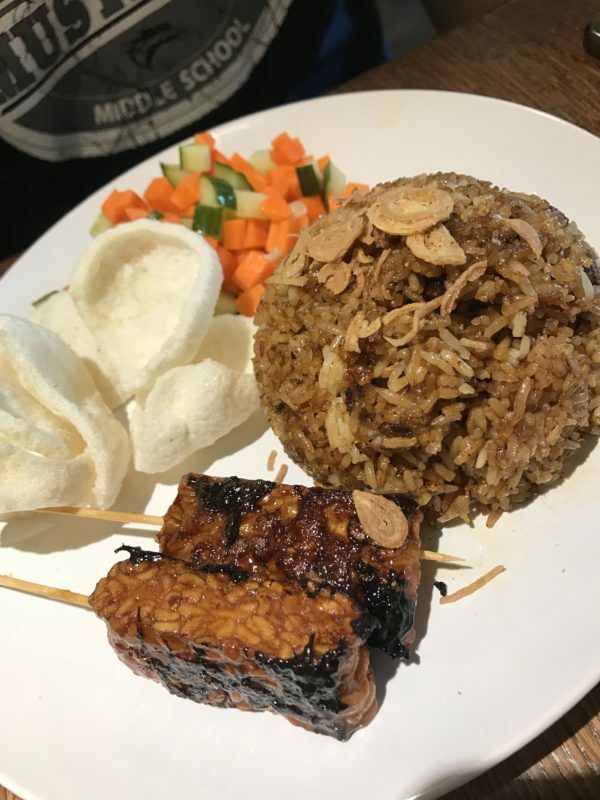 The first entree we ordered was the Vegan fried rice/nasi goreng veganm, which includeds Indonesian tempeh fried rice served with tempeh satay, Javanese pickled cucumber, and carrot/acar timun and Indonesian crackers. The fried rice was a bit bland, a bit salty, and nothing to write home about, but the tempeh was DELICIOUS! I could have eaten so many more of the skewers! 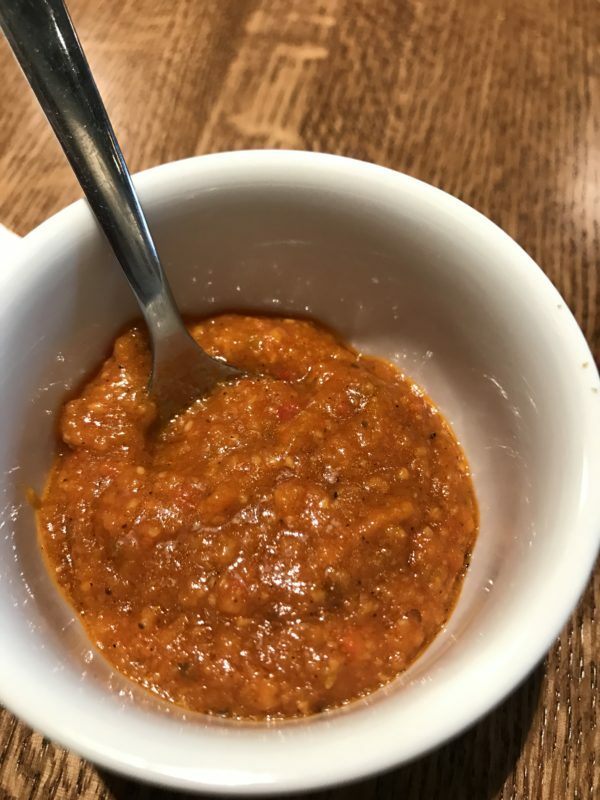 BoBoKo Indonesian Cafe offers a house hot sauce. I jumped at the chance to try this (especially to help out with the fried rice). The sauce is not very hot (at least to my standard), but was very flavorful! 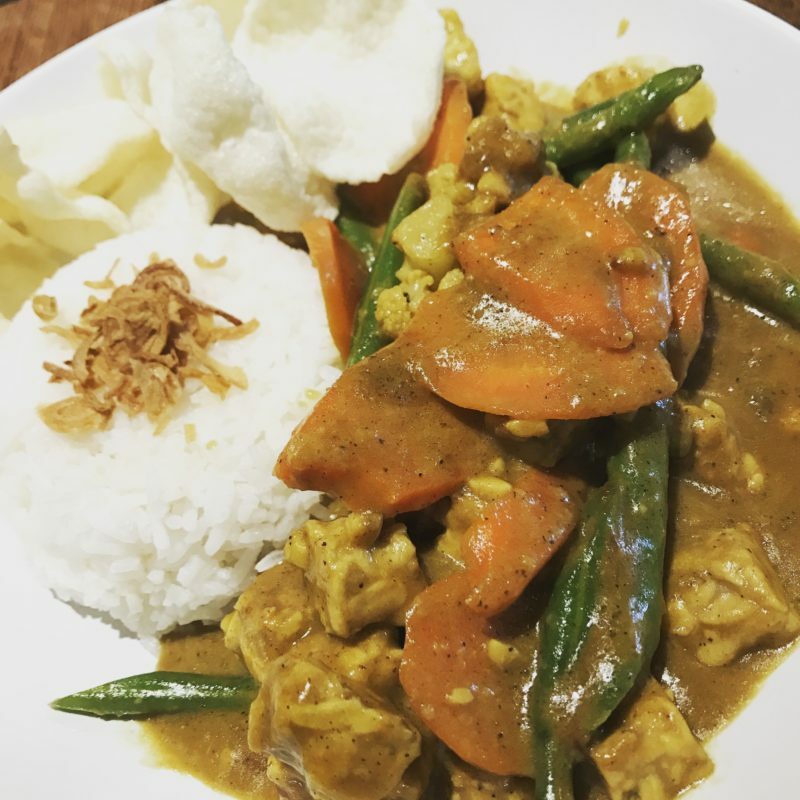 The second entree we ordered was the Mixed vegetables and tempeh/sayur lodeh, a Javanese-style tempeh and mixed vegetables in spiced coconut milk broth, served with steamed rice and Indonesian crackers. I thought this was the better of the dish because it was more flavorful. The vegetables were a nice consistency, the tempeh was delicious, and the portion was large. It’s always nice finding new restaurants that are able to accommodate the vegan and gluten-free lifestyle. I will definitely keep BoBoKo Indonesian Cafe on my radar for when I’m next passing through Harrisonburg! 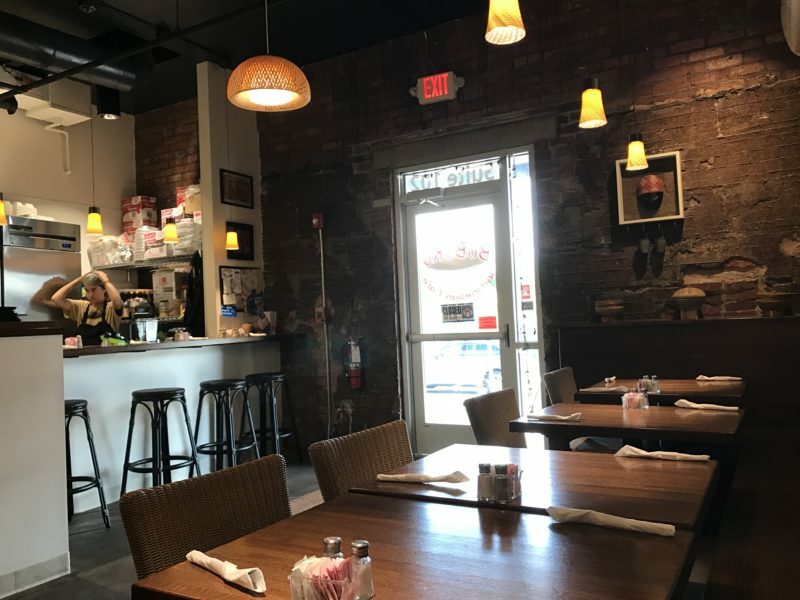 Cozy restaurant with twenty-seat capacity in historic Ice house building in downtown Harrisonburg, VA.
One block south of water street parking deck across from Harrisonburg downtown farmer’s market. Previous story CARS 3 – New Trailer Now Available!